All this rain and wind and cold weather has me dreaming of winter. Real winter. It has me dreaming of the snow. Of all the joys of being in the mountains. Of gondolas and glühwein. And of course of the beautiful new snowboard gear that I really need. So when I was offered tickets to the first Ski and Snowboard Show North inManchester on the 25th October, I jumped at the chance. I also jumped at the chance to get some tickets to give away to you guys - so I have managed to wangle three pairs of tickets to give away to the show for you too. 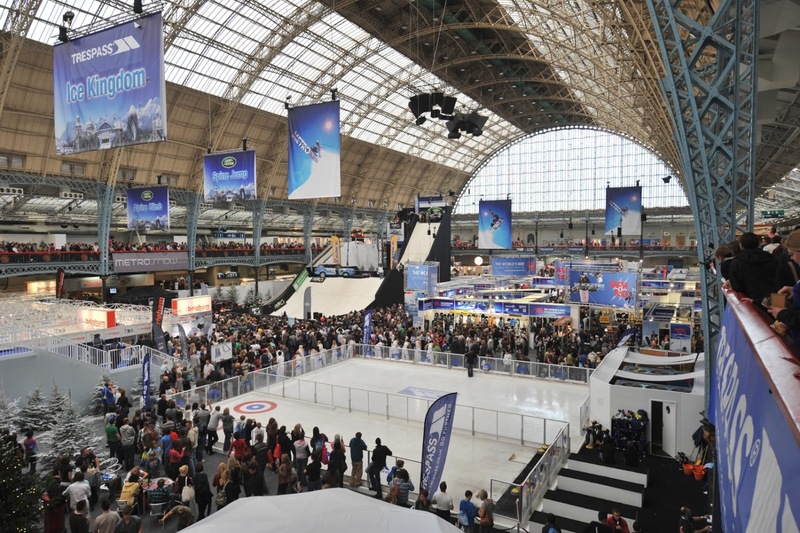 Along side the ski and snowboard gear, there is a free ice skating rink, you can try your hand at curling, eat alpine food and the most important bit, get involved in some aprés-ski. Plus as the show is partnered with Chill Factore, all visitors get a free lift pass for the indoor slope, which means I think we'll be taking our boards and boots for a little slide afterwards. So, if you're interested in winning one of three pairs of tickets to the Ski and Snowboard Show in Manchester on the 25th October, just pop your details in the rafflecopter widget below and let me know what your favourite thing about the snow is.